Rarely available, 4886 sq ft revenue producing commercial/residential mix building on Main St. Two Main Street store fronts as well as two 2 bedrom suites above. Both top floor 2 bdrm suites have been completely renovated w/new kitchens & baths, stainless steel appliances, granite counters, real hardwood floors, new insulation, drywall, electrical, plumbing & a new roof - a complete renov 4 yrs ago. Income is $1,500 per storefronts (going up in Jan), $1400 per upper floor suites, and $750 (potential) per full height basements (currently used for storage by owners). All tenants are month to month tenancies. Next to new amenities, Shoppers, TD Canada Trust. 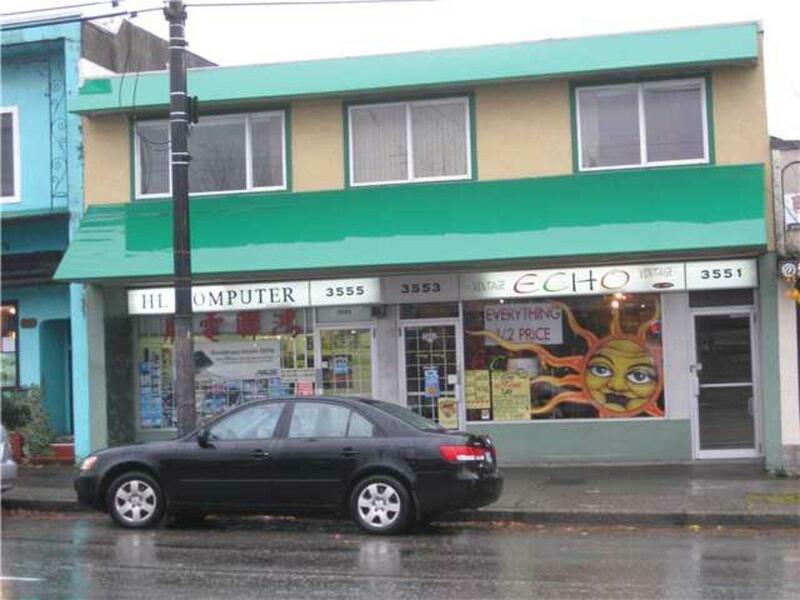 This is a prime Main St location to run your business and/or for investment. Call for viewing and/or information. Total potential revenue per month $7,300.